Navajo necklace. 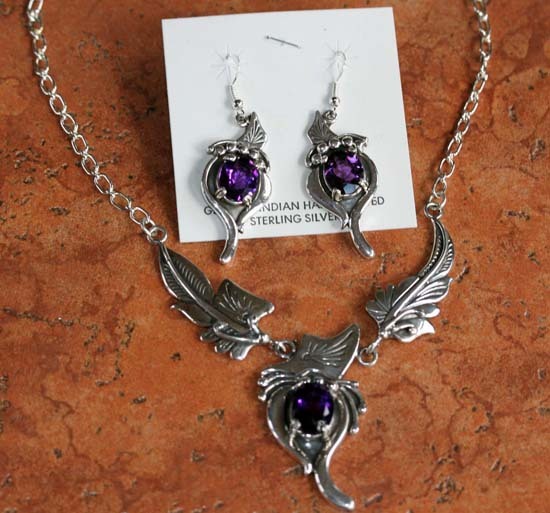 It is made from sterling silver and amethyst. The necklace is about 19" in length. The center pendant is 2" by 1 1/8". The earrings are 2 1/4" in length. This item comes with a certificate of authenticity.